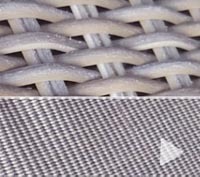 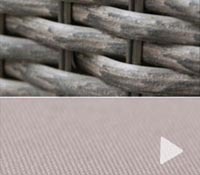 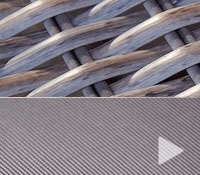 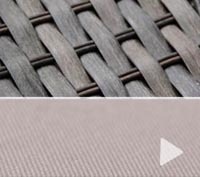 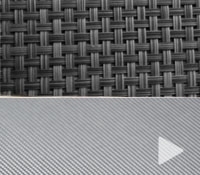 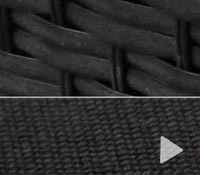 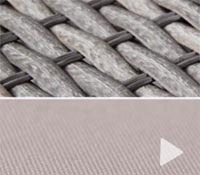 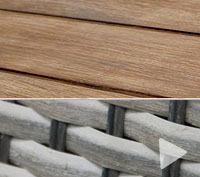 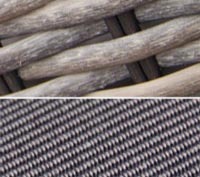 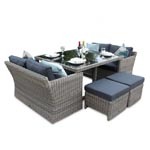 The Richmond 4 seater rattan square table features a unique table design with intricate 12mm PE rattan weaving over an rust-free aluminium frame. 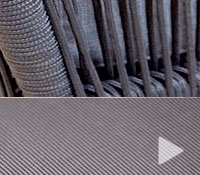 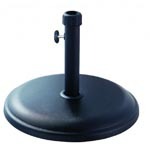 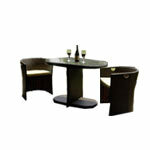 The table and chairs are finished of with rod weave triminigs to provide a elegant feel to the furniture. 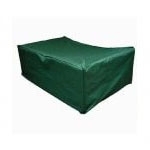 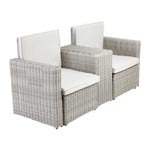 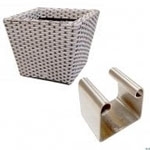 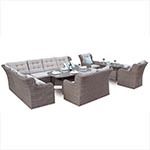 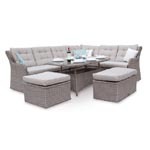 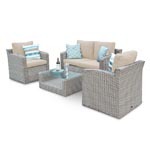 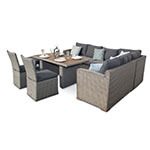 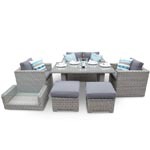 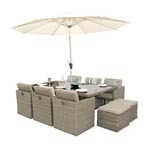 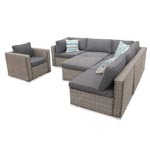 Our 4 Seater square Polyrattan Woven Garden Furniture Set is a stylish contemporary garden furniture set that will feel at home indoors or outside on the patio. 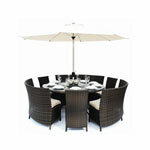 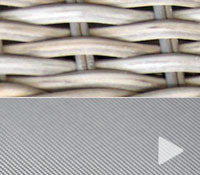 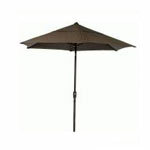 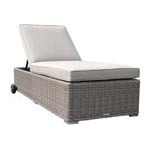 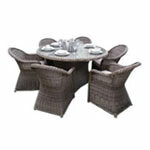 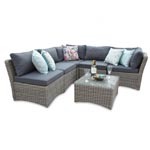 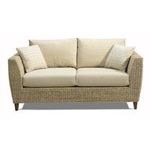 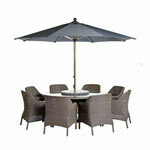 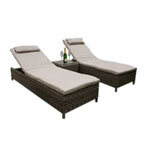 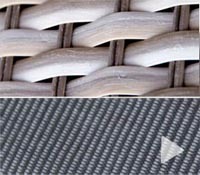 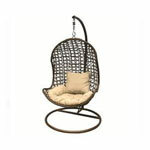 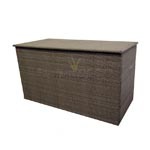 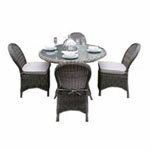 - 90cm square table & 4 luxury rattan chairs with full cushions.